The author and poet Hoffmann sits in a pub, quite inebriated, and telling stories from his life. 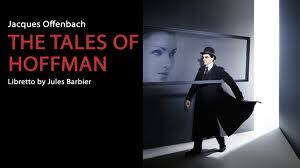 So starts Jacques Offenbach’s only opera, The Tales of Hoffmann. Best known for his sharply satirical French operettas, Offenbach here takes as his point of departure three novels by the author E.T.A. Hoffmann, famous for his romantic, dark and bizarre stories. Offenbach intertwines these tales with Hoffmann’s own life to give a fascinating – and at times disturbing – fable about love, both of women and of art. 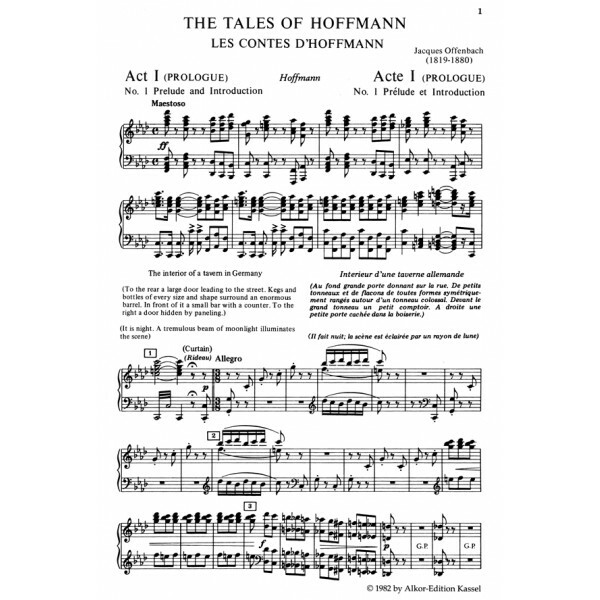 I three dream sequences – or hallucinations – we meet Hoffmann’s three great loves: the doll Olympia, the singer Antonia and the courtesan Giulietta. Offenbach died before the opera was finished, since when it has been presented in several different versions based on the outlines left by the composer. The Norwegian National Opera’s production is directed by Spain’s Calixto Bieito, known for his original and often controversial interpretations of both plays and operas. He has previously attracted attention with his productions of Ibsen’s Brand and Peer Gynt at the Bergen International Festival, which were both also performed at theNational Theatre in Oslo. 7 productions / From December 4. to December 31. This entry was posted in Music, OPera and tagged Calixto Bieito, Den Norske Opera & Ballet, Jacques Offenbach, Jules Barbier, Oslo Opera House, Peer Gynt, Tales of Hoffmann. Bookmark the permalink.